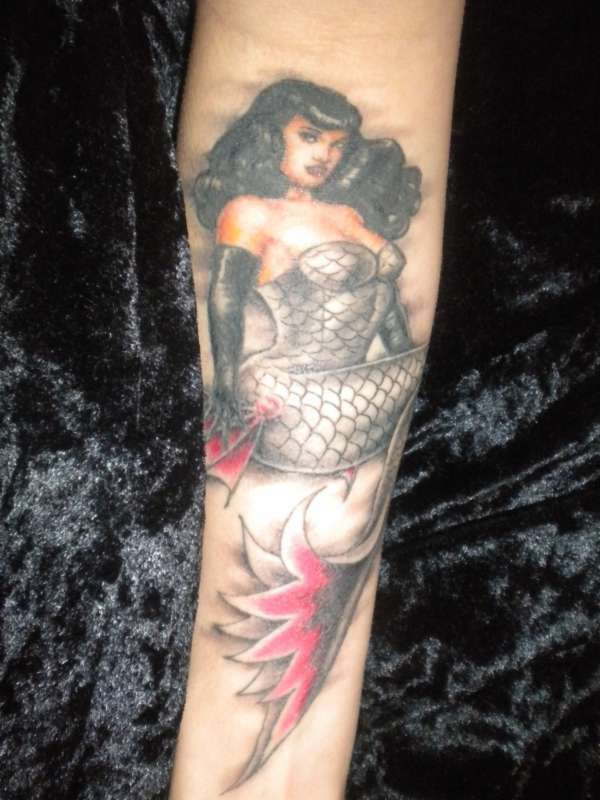 Bettie Page as a mermaid adapted from Olivia de Berardinis Bettie Page art book. It is on my right forearm, done by Shannon at FatCat in Carmichael, CA. Bettie Page is an idol of mine, being spiritual in her beliefs and never regretting anything she did. It is my second tattoo. Love Bettie Page. This is very nice piece.